Sevilla was founded by Julius Caesar, on the part of the bank of the Guadalquivir in the river was not navigable ( Hispalis ) . He later became one of the most important cities of Christendom throughout the peninsula . 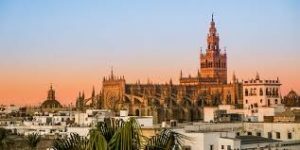 The Modern Era, which began with the discovery of America meant growth in every sense of the word and Seville regained its splendor of Roman times , becoming one of the most important inland ports around the world and the main nexus to the New World. Enjoy the tapas is one of the most important and popular gastronomic pastimes. There is also a long-standing artistic tradition in Seville. Artisans of Triana traditionally produce a variety of ceramic and tiles , a craft which dates from the Muslim era . It’s easy to find fashion boutiques alongside the more traditional markets handicrafts. 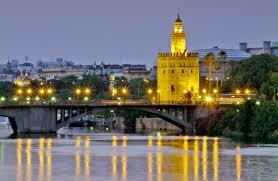 Spend a day in Seville is easy, you can travel by car or by train andonly take you two hours!